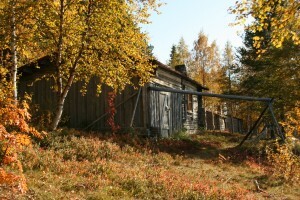 Rauhala Village by Pallas-Yllästunturi National Park is located ca. 200 km north of The Arctic Circle. 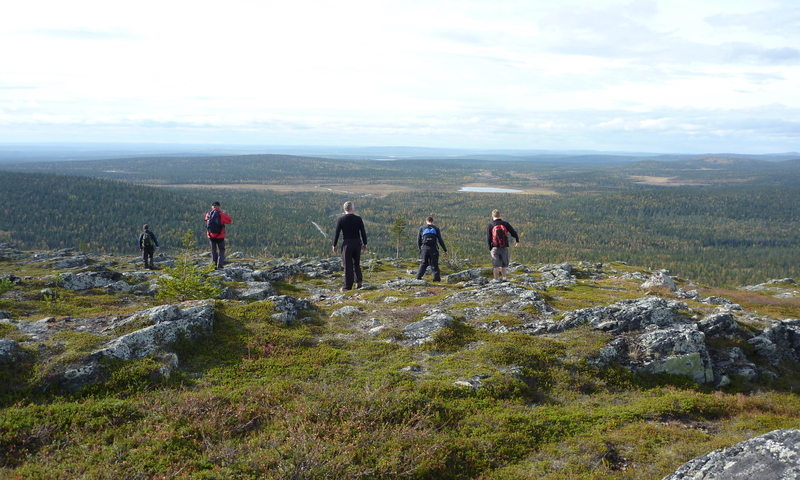 This hiking program leads us treeless arctic hills and forests of Finnish West-Lapland in the surroundings of Pallas-Yllästunturi National Park. During the tour, we experience and learn nature, local culture and way of living in The Arctic. 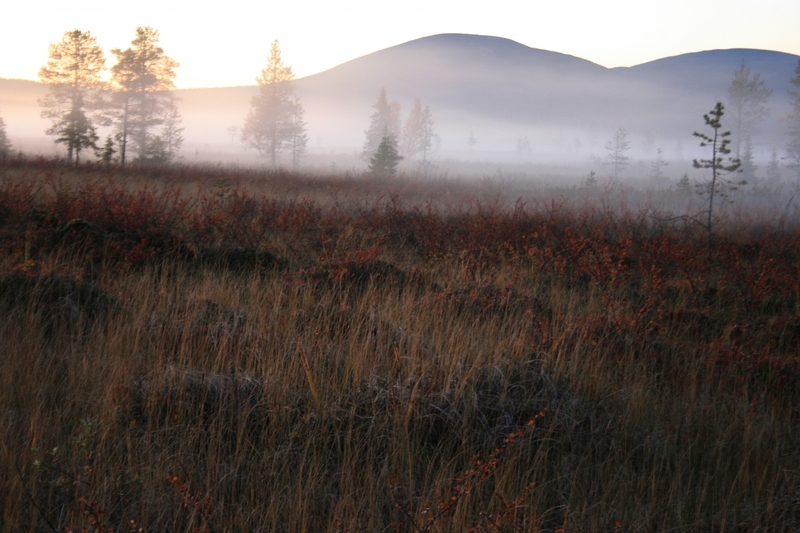 We start our daily hiking trips from the shores of the Jerisjärvi Lake to the surrounding fells, forests, and lakes. During our week in unique Lappish nature, we will conquer seven fells and canoe over a fishy lake. We learn about reindeer herding and the everyday life in Lapland now and before. We cook and grill our meal over an open fire. 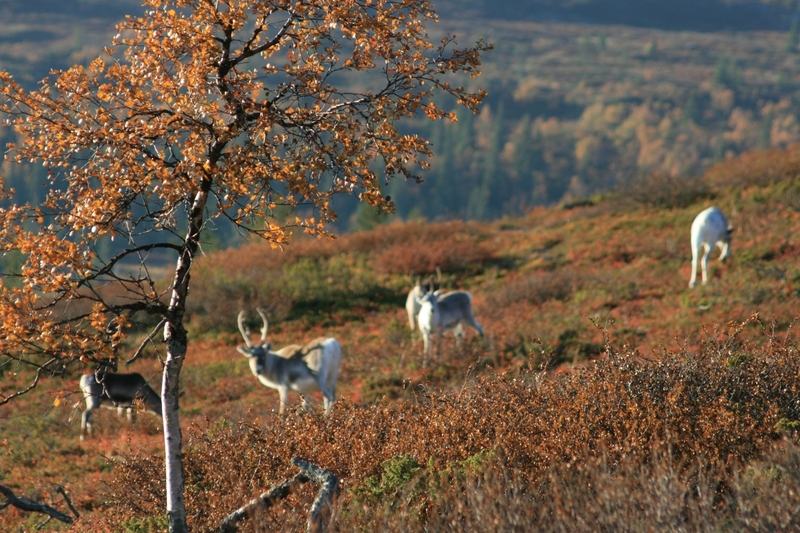 During the week the guide tells about the specialties of Lapland; reindeer herding, northern lights, vivid autumn colors (Ruska time), polar night, midsummer time and other aspects of the Lappish life and nature. Day 2 – After the breakfast, the guide briefs us about the program of coming hiking week. We start our first-day hiking tour through the woods and over the hill Järvilaki along the Old horse road. We hike today 15 km in varying woodland areas and hilly grounds. During the weekdays time, the guide tells about the surrounding nature. Day 7 – We start our tour with a bus drive to Pallas – Yllästunturi National Parks visitor center. There we see a multimedia show about the flora and fauna of the area. Our hiking tour leads us from Pallas to Lake Sarvijärvi, where we make our lunch break. 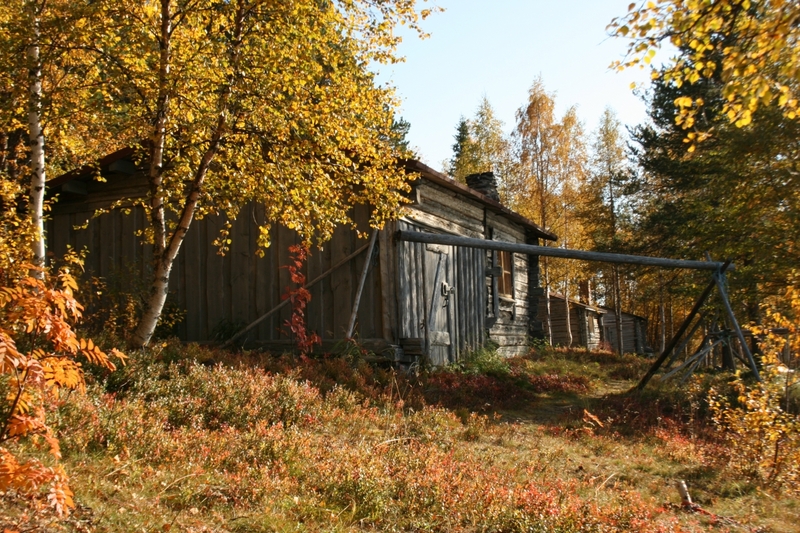 In the late afternoon, we will drive back to our overnight place at Rauhala and enjoy our last meal together in Lappish surroundings. Day 8 – Departure day. After the breakfast transfer to Kittilä airport. Accommodation in the base camp Rauhala in holiday cabins or rooms for 2-3 persons (limited availability of double, and single rooms). Sauna is available every evening. If you are interested in an unconfirmed start date, please send us a request. Thank you!